Loupe clip with binocular loupe component for stereoscopic near vision, for attachment to most prescription glasses. 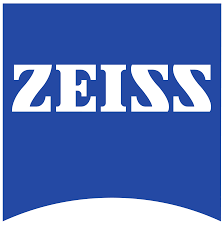 The Zeiss Head-worn Clip-on Loupe LC is suitable for situations requiring low magnification. The user's hands remain free to perform whatever task is required. Angled gripping surfaces make it easy for the user to attach the clip without having to remove his/her glasses. Non-slip caps on the peg prevent scratching of spectacle lenses. The height and tilt of loupe components can be set as required. Comes in a plastic box. The binocular loupe components are easy to change and can also be used on the Head-worn Loupe L.